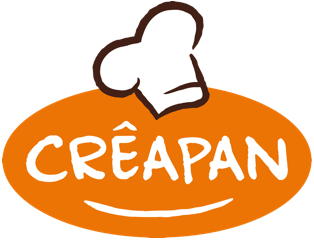 Over the past twenty years, Crêapan has built up a wealth of experience in various countries on how to build and boost the pancake category for a retail or foodservice organization. Not only with private labels, but also with strong brand names. We are happy to show you our successful brands: JAN, Abra-ca-Debora and Crêapan. The Dutch people just love pancakes and they can be very critical when it comes to their quality. They should taste as good as the ones baked at home. That’s what Jan, the founder of JAN, always aimed for when he started baking pancakes twenty years ago: they had to taste exactly like the ones his mum made for him! Jan is a true Dutchman. He makes the most delicious pancakes and ‘poffertjes’, in all shapes and sizes and they all taste like the ones you would bake yourself at home. Jan likes to involve his loyal fans in his ideas and activities. He sends them the latest news, shares funny and relevant stuff on Facebook, and his website is full of recipes to inspire people. You can also regularly find prize wins on Facebook and the website and last year Jan created this special game for his fans, the JANzenbord, based on a traditional Dutch board game but made into a fun pancake game! 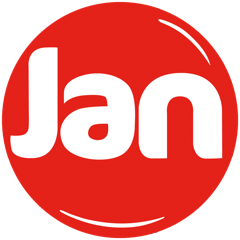 Go and have a try, download the JAN app to get an idea – it’s free!